Fur Saver Collars are designed to make less effect on the dog’s hair. These collars have fewer links, which means less hair damage. Fur Saver Collars, same as Choke Collars, are used for obedience training, but at the same time they protect your dog’s hair from knotting, pulling and breaking. This collar was processed with the help of a new technique called Chrome Plating, often referred to simply as chrome. It is a technique of electroplating a thin layer of chromium onto a metal object. Products that undergo this process, usually look more decorative, than ordinary stainless steel ones. The chromed layer will provide corrosion resistance for your collar, as well as ease cleaning procedures. These collars will serve you and your pet for years. This dog collar is suitable for dogs with neck size of 19-20 inch (48-50 cm). 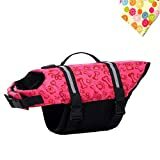 are looking for an obedience training dog collar. Please note, if you have a growing puppy, you should order Fur Saver that will perfectly fit him. It shouldn’t be bigger because it will slip off his head and will be probably lost. Be attentive! The size of the collar includes O-rings. Please, consider it while ordering the item. If you have any doubts regarding the size of the collar, you are welcome to contact us. 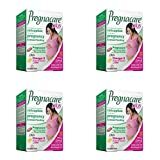 Vitabiotics-Pregnacare Plus (28 Tab / 28 Caps)Pregnacareï¿½ Plus dual pack provides the original fully comprehensive multivitamin tablet, which delivers the essential nutrients for pregnancy including the recommended level of 400mcg folic acid plus an additional Omega-3 capsule to provide a rich source of docosahexaenoic acid (DHA) which contributes to normal brain and eye development of the foetus**.